Chikara contains an all-new proprietary formula of the 3 pheromones found in most of the top-selling pheromone products, PLUS 4 new pheromones never before used in perfumery. It is the 2018 Top Rated Pheromone Cologne. It comes in a 15ml spray bottle and has an alcohol base. This pheromone cologne for men comes in a scented or unscented version. The unscented version has a slight attracting odor of human sweat while the scented version contains a spicy aroma of the orient that gets you noticed. 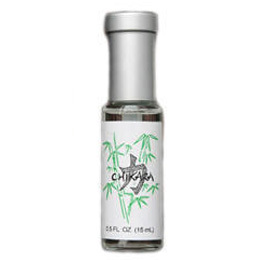 Chikara Men’s Pheromone Cologne is a new age pheromone formula comprised of 7 potent pheromones including Androstenone, Androstenol and Androsterone. INGREDIENTS: Androstenone, Androstenol, Androsterone, plus 4 other ingredients not included in any other product. SCENT: Scented with a pleasant, light, musk fragrance. BENEFIT: Creates a friendly effect with a masculine punch. Very effective attracting women in most social situations. SUMMARY: Chikara Scented and Unscented received our highest customer ratings based on effectiveness in attracting women. This is arguably the best product on the market! Very effective in attracting women in both social and work settings. State of the Art Pheromone! Twice the pheromone content of Primal Instinct! Chikara is the ultimate ice-breaker. When you use this pheromone cologne for men, you’re Mr. Nice Guy. The rich, exotic aroma of the scented version immediately puts women at ease with you while at the same time exuding an enticing air of mystery. Wear this highly concentrated cologne to the office, when out to lunch or out for a night on the town and watch the smiles, winks and hair flips directed your way. There’s something interesting about you and she wants to know what it is. 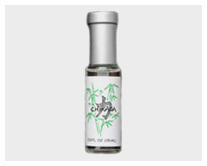 Chikara contains 3 of the pheromones in top-selling products plus 4 more pheromones never before used in perfumery and has 10 mg pheromone content. This is twice the amount of Primal Instinct working just for you at lower price! It’s a popular best-seller ranked #2 in 2014-15 Top-Rated Pheromone Colognes. This pheromone cologne for men comes in a scented or unscented version. The unscented version has a slight attracting odor of human sweat while the scented version contains a spicy aroma of the orient that gets you noticed. Chikara is perfect for casual social situations, business affairs and getting that first date. With Chikara, you’ll be that easy-going guy with an air of mystery that women can’t wait to get to know. I’ve been using Alter Ego For Women (AE) for months now and it’s my hands down favorite.